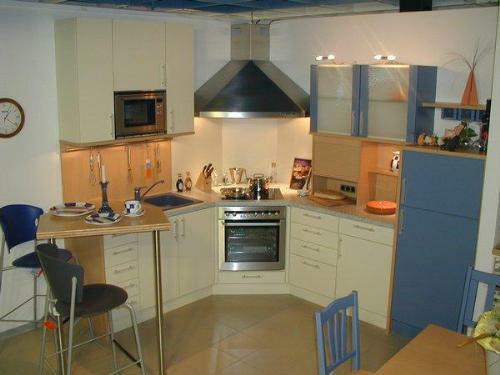 A small kitchen can be made spacious by arranging equipments in a proper way. It can give you the same pleasure of cooking as the large one do. When it comes to organize your kitchen you need to be innovative for best furniture arrangement, properly clean sinks and managed cabinets. You can apply following space saving ideas for putting the stuff in order and managing the kitchen appropriately also. Do not plan for a mass of appliances you will never use or occasionally use. Reduce your wish list to the minimum of essentials and then see how many extras you can fit on top. Arrange circular table which take up less space and can be used for cutting the vegetable etc. Arrange folding chairs which will keep floor space free. 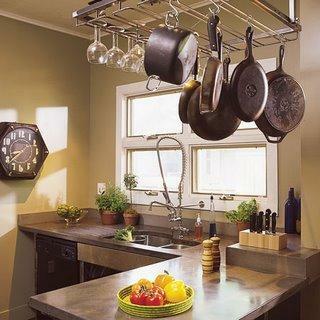 Leave the upper walls clear for hanging utensils. 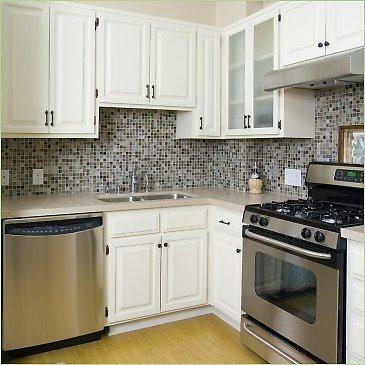 Provide drawers and cabinets in kitchen to place different articles in proper way. 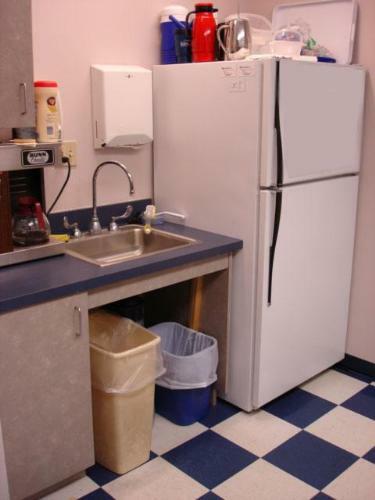 Fix high level cabinets to store kitchen articles which are occasionally used. Fit door and drawers with hidden hand grips so that the sleek run of unit fronts is not interrupted by knobs and handles. Fix corner sinks to make the most of space usable that would otherwise go to waste for the Sink is the most basic and essential for kitchen. Fix steel grating on the sink with a gap of 2-3 feet used for wet utensils to save the space. Usually people have two sinks; one for washing utensils and the other for clean, wet utensils or they have the sink with drainage board which takes extra space. Provide acrylic sheet or marble stone corner under the open space available in the kitchen to store the detergents etc. used for cleaning utensils. Keep a ridge up on the top of your stove to put small items such as your spices and tiny objects that usually hang about on your counter. Place a pot shelf up to carry bigger items like cutting boards, pans, vessels, skillets, and other grave items to keep them away until you require to need them. Make sure that work top and sink levels are adjusted to suit your height; it will be comfortable. Keep the shelves clean and streamlined avoiding unnecessary decoration more often associated with old fashion and country style. Use ceramic tiles for walls and marble for floors so that the kitchen may be clean in a short time and is available for use as per requirements. Keep refrigerator at a level which is comfortable for handling food stuff. Provide folding or sliding door for saving the space instead of hinged door which blocks the whole kitchen when opened. 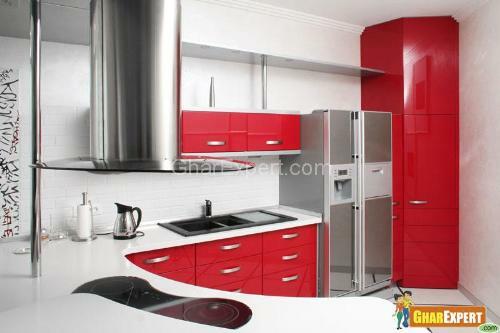 Use white or cool colors which provide a feeling of spacious kitchen. SOUTH-EASTCORNER IS SUPPOSED TO BE THE PLACE OF LORD AGNI,GOD OF FIRE. Installation of kitchen sink seems a daunting task but it is just simple to fix a sink in the kitchen. It can be fitted below the countertop after taking right measurement of countertop and cabinets. 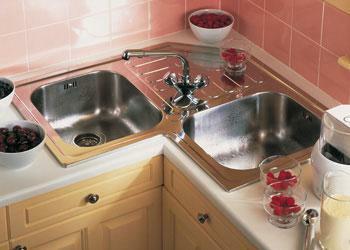 This article tells you steps for installation of kitchen sink. A kitchen island perks up your kitchen as multifunctional space and gives you additional eating area as well as food preparation area. If you choose kitchen islands according to the shape of your kitchens, they will make your kitchen the best place where you would like to enjoy your meals. You can also make your kitchen organized using islands with extra cupboards and drawers. Stylish sink offers an elegant look to your kitchen interior. Appealing designs of kitchen sinks with maximum functionality enhance the inherent beauty of your kitchen. Sinks are the focal point of the kitchen and gives a glossy and shining look when choose perfectly. Well organized kitchen pantry not only makes your meal time pleasant but creates attractive look in your sweet home also. To know how to give a different look to your kitchen pantry, read following article. Proper ventilation in kitchen is essential particularly while cooking the food. If there is no suitable ventilation, the cook would feel suffocation. Ventilation fans are inexpensive electrical appliances which remove smoke and stinky from the kithcen. Faucets in kitchen are not only used for despensing water but for cleaning vegetables and sinks properly also. Lighting in kitchen is very crucial to make cooking experience a pleasure. 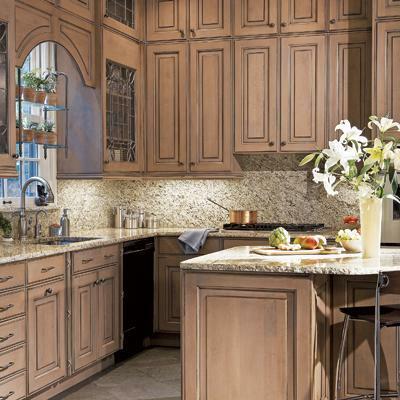 A bright kitchen also adds to the warmth and beauty of interior décor of your home.